BY LARESSA BETHISHOU, PHARMD, BCPS: Diabetes is one of the most common and costly chronic diseases, affecting more than 30 million Americans, with a total annual cost of $245 billion. Prevalence continues to increase as obesity rises, with the highest rates of diabetes found in minorities and older Americans. Consequences of diabetes include hypertension, coronary heart disease, stroke, chronic kidney disease, and blindness. Despite significant medical advancement in treatment, diabetes remains the seventh leading cause of death in the United States. As a result, health care providers must consider the impact of financial and educational barriers in outcomes associated with diabetic management. Q. How do people die from diabetes? A. People who have diabetes cannot regulate their blood sugar levels and if the disease isn’t tightly controlled, blood sugar can spike to abnormally high levels, a condition called hyperglycemia, or dip below normal, a condition called hypoglycemia. Both conditions are potentially life-threatening and can lead to coma and death if not promptly treated. BY MIRIAM E TUCKER: A major insulin-pump manufacturer has withdrawn from the US and Canadian markets, while another is experiencing supply and reimbursement problems. While technology certainly represents the new frontier in diabetes management and there is much positive news, such as the recent US approval of Abbott’s novel FreeStyle Libre Flash Glucose Monitoring System, the field is not without its setbacks. This latest involves the departure of Animas Corporation (a division of Johnson & Johnson) from the North American insulin-pump market, with the firm directing their 90,000 customers over to Medtronic. That means the pursuit for a pharmaceutical weight loss drug has only become more intense. And there’s some encouraging news on this front. A recently published study from the Mayo Clinic reports that a pharmaceutical weight loss drug already exists and has proven to be effective, even in those who are obese. 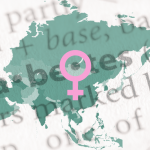 Are Women More Likely to Inherit Type 2 Diabetes?